The following list are lenses I would like more time with before I'd feel comfortable reviewing them. 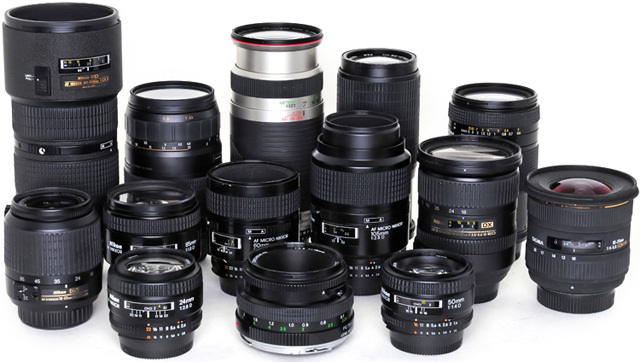 These are lenses I don't own, but maybe have borrowed or had a student show up with one. A listing here doesn't mean a recommendation, just an interest from me in knowing more. If you have one you'd like to let me borrow, please contact me. Thanks. Nikon 18-105mm - this is a new kit lens that is shipping with the D90 (the upgraded D80 which is the D300 in sheep's clothing). Confused by all of the lenses above? Not sure what is the right lens for the situation you're going to photograph? Then check out this article that I wrote on the main types of photography and the lens I choose for the job.